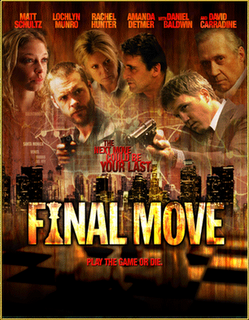 Final Move is a disappointment, especially considering the B-movie cast and director. I have very low standards when it comes to flicks like these. The plot is: The chess piece killer is at it again. 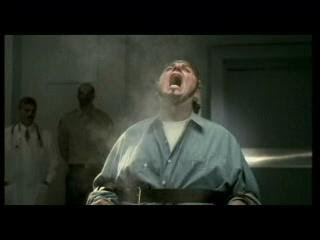 After his last victim, he is caught and sentenced to death. After his execution, the killings don't stop. Which is weird for detective Marlowe (Schulze) who has psychic vision. He teams up with Roman Krieg (Munro) to stop the madness. Final Move tries hard (too hard) to be a slick mystery-thriller. The opening credits are snazzy, but the opening scene is downright horrible: after the killer murders some woman, he takes off his mask and starts laughing for about ten minutes. You'll see. David Carradine and Daniel Baldwin don't have a lot of screen time despite their faces on the cover. Schulze is alright, but his best role is in The Transporter (2002) . The explosion near the end is faker than Milli Vanilli's Grammy Award-winning performances.